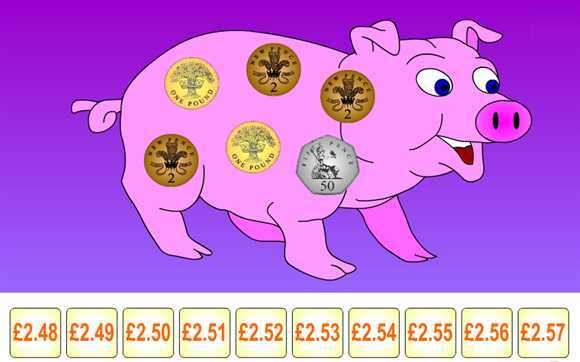 These fun money games for kids can help children to understand the value of UK coins, how to count money and work out change. They also include problem solving money activities. 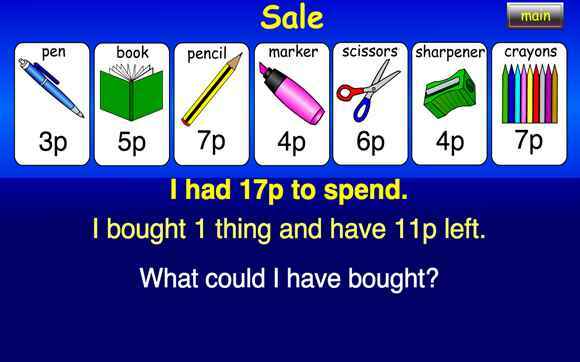 Lots and lots of money problems here where you need to work out change from amounts from 10p up to £1.00. 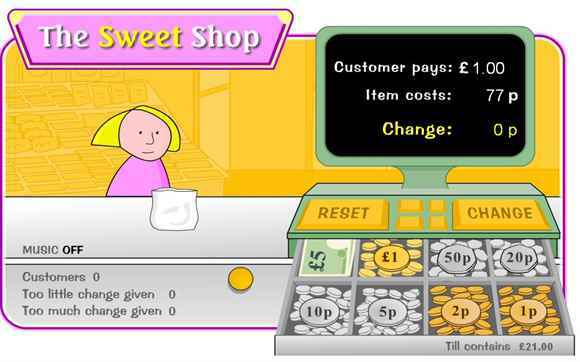 Money games based on UK coins involving sorting, ordering and counting coins. 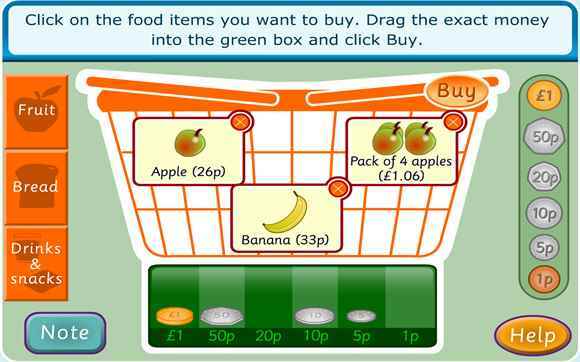 Check your mental maths skills by working out the change you need in the store. 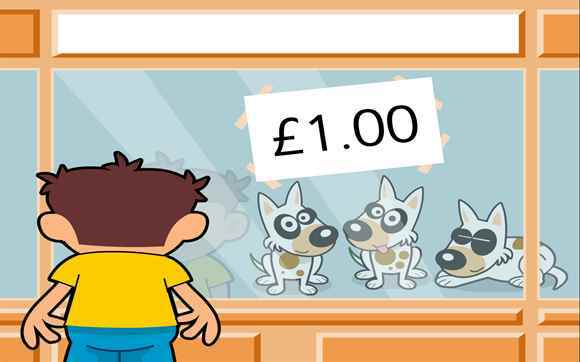 David needs £1.00 to buy a puppy. Investigate which coins he could give the shopkeeper. How many different ways can you find? For 7 - 9 year olds.